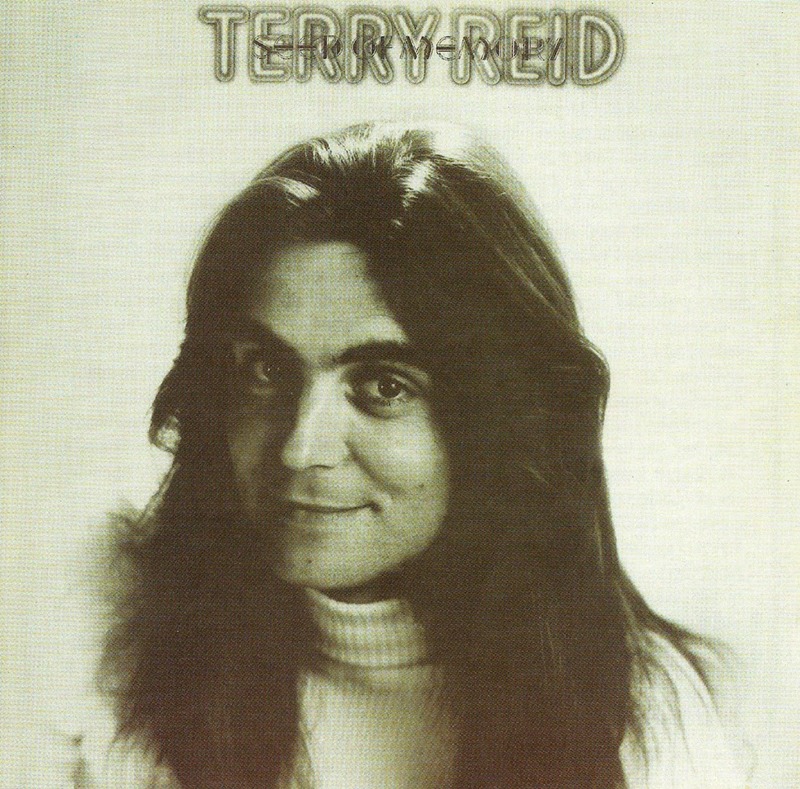 In 1973 Terry Reid was living in the high desert landscape of the Santa Monica Hills a semi wilderness utopia north of Los Angeles. After a brief spell in a temporary home he moved on to stay at the ranch belonging to Tony Duquette . Tony Duquette was a world renowned designer and sculptor with past commissions for Paul Getty and The Duke and Duchess of Windsor amongst others. His property was like a cross between a sculpture park and a design Museum with dozens of buildings and sculptures made from found objects. There are a couple of pictures of Terry at that time posing in front of some antique furniture. All this set in the hills with breathtaking views west to the Pacific Ocean and spectacular sunsets night after night. Sadly this unique place was largely destroyed by fire in 1993. Properties in the hills were much sought after and people often drove along the narrow roads looking out for potential homes. One day, one such person found his way up the ranch inquiring about places that might be available. This particular person a popular songwriter and one-time protest singer, pleased to find a fellow musician, spent a happy couple of hours discussing music, songs and the like. Bob Dylan, for it was he, didn’t quite make it up into the hills to live, ending up nearer the coast in Malibu itself. Needless to say it was the ideal environment in which an artist could relax dream and create. It was here that Terry would mostly write the songs that would form the basis of his next album, Seed of Memory. Terry already knew from way back, his old friend and fellow Brit Graham Nash, also settled in California. Having written a load of new songs Terry was unsure about how to record them and recalled in a magazine interview at the time” I went to Graham with the songs and said, I don't know where to go at this point, in a sense that I want to get a person who will read into the songs, I wanna get someone on the other side of the window who understands what I wanna do. I wanted somebody that's just going to totally lift the responsibility off my shoulders of having to make sure a things plugged in just so I can sit in the studio and loosen up just like I'm sitting on the front couch at home and sing a song”. Graham proved to be the perfect person to go to and readily agreed to work with Terry on the songs. Rehearsals began at Graham's home and were recorded in part at the studio, Rudy records in L.A., which Graham had set up and owned. Graham used to have a lot of equipment at his own home but seeing it unused a great deal of the time decided to move it to a proper studio in downtown L.A and allow others to use it. The album was produced by Graham and although all the songs were written by Terry there is a clear sense of Graham's involvement in the whole project. Apart from anything else he shared the vocal harmonies on some of the songs. With Graham producing and David Lindley on hand there is a strong country feel to half of the album with the remaining tracks encompassing a typical Terry brew of funk, rock, blues and jazz. 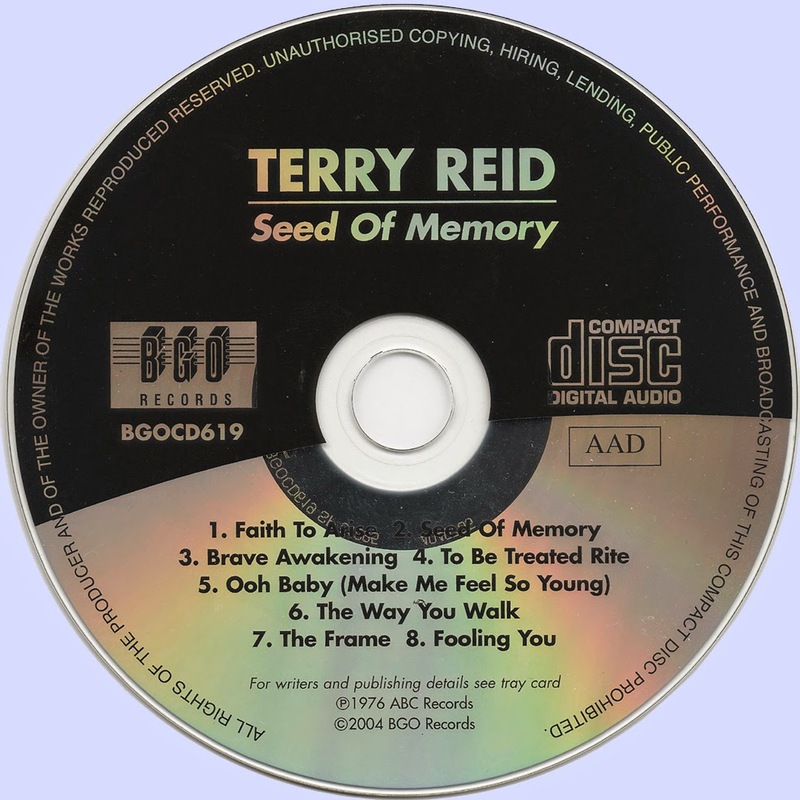 Terry is often considered to be mainly a vocal stylist, concentrating his songwriting efforts on lyrics and words that when sung can give the correct sound that he was striving for. On this album there is also clear evidence of Terry's wordsmithing abilities. Well illustrated than in the opening line of the title track Seed Of Memory, ‘Brave dreams that are kindled from ashes’. Listen also to the words of Brave Awakening with its reflections on the dangers and inevitable tragedies connected with mining, a theme inspired by firsthand experiences of Terry's family in northern England. Apart from Graham and David other players on the album were long-time Terry associate Lee Miles on bass and another former Ike and Tina Turner stalwart Soko Richardson on drums. Probably the most polished and coherent of Terry's albums it is definitely a good introduction for a newcomer. The album was released under the ABC label with plenty of airplay and positive reviews, it should have been a hit. Unfortunately ABC, in financial difficulties, was in the process of being taken over by MCA resulting in lacklustre promotion and initial sales that didn’t reflect the commercial appeal of the album. Always popular it has had something of a renaissance recently due to the inclusion of three songs on a recent film soundtrack (more of that later in the biography). Terry now effectively a permanent Californian resident played various gigs with the core of the band that he'd assembled for seed of memory. David by this time was heavily committed to other work particularly with James Taylor and was unable to tour with Terry, they did though manage fairly frequent acoustic gigs in places like McCabe's in Santa Monica. MCCabes is a famous guitar shop with a small concert space, sells all manner of string driven things and no doubt a favourite haunt of David Lindley's. Sadly the mess with ABC meant that Terry could not afford to keep the band going very long and people soon went their separate ways.Resilient as ever, Terry carried on writing, storing up songs playing whenever the opportunity arose.